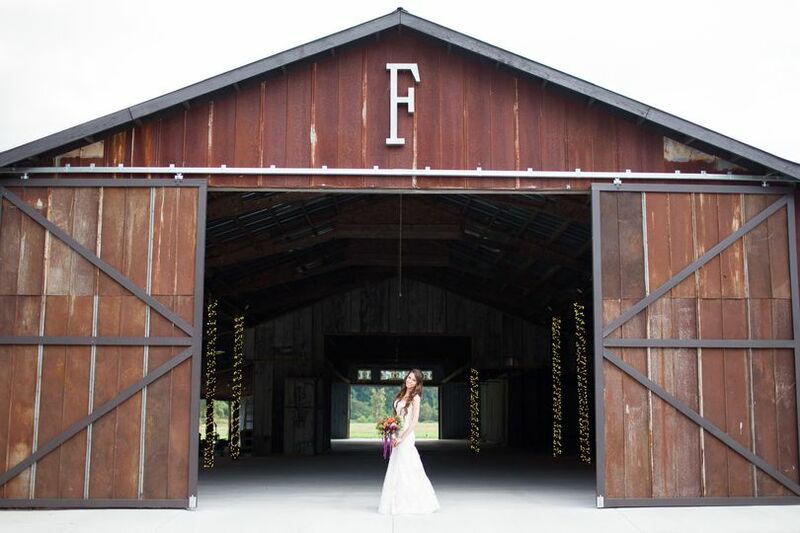 Fussell Farm, a farm wedding venue with a barn, welcomes couples in the greater Raleigh, North Carolina region. This rustic wedding venue has vintage touches and elegant charm thanks to the stunning and authentic wooden barn available for celebrations. 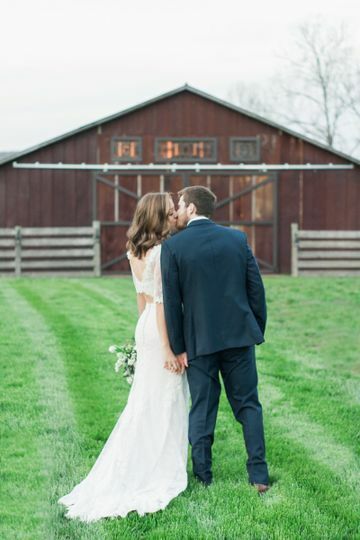 Up to 300 guests can join couples on their wedding day at Fussell Farm. 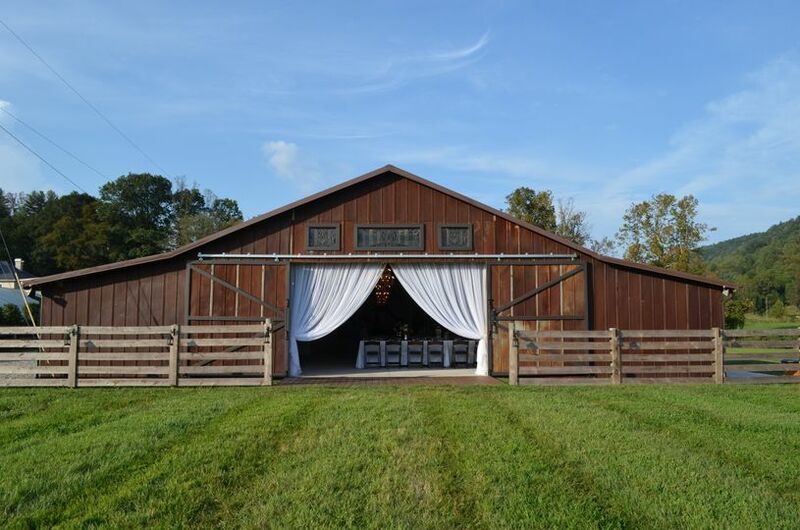 This venue, located on a working cattle ranch, is found right in the middle of the Blue Ridge Mountains. The vintage wooden barn on the property is the most popular location for wedding events. Couples can hold a wedding ceremony out on the lawn in front of the barn, with its large wooden silhouette in the background against the blue sky. Or, they can marry just inside the doors, hosting a smaller gathering on the barn’s cement floors. Receptions can take up the rest of the indoor venue where, beyond the gray sliding barn doors, couples can find alluring chandeliers hanging from the cathedral ceiling with white flowing fabric draped on either side of the lighting. 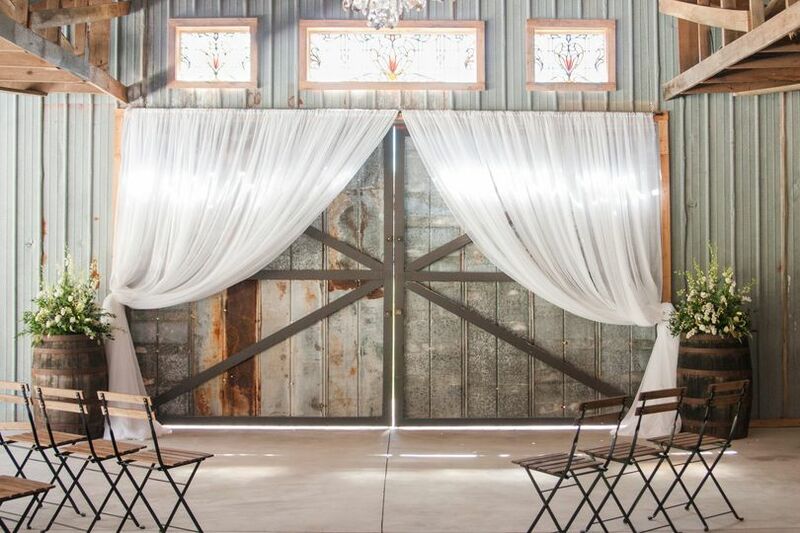 An open side to this barn allows light and fresh country air to come into the venue. Tables can be setup in numerous fashions, with multiple banquet-style tables, one long center table, or a combination of the two options. This barn has a bar and, in addition to the light from the chandeliers, strings of fairy lights all around. 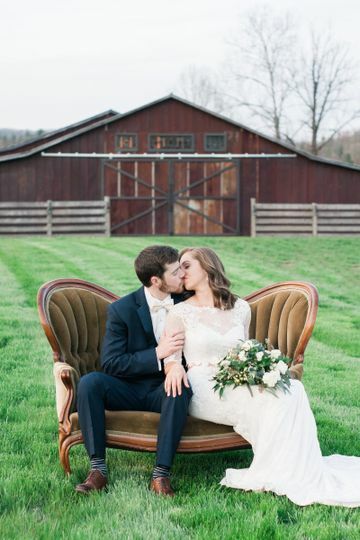 At Fussell Farm, couples are welcome to host their ceremony and reception. This venue offers numerous accommodating services to couples and their guests, such as onsite parking that makes transportation to the venue simpler. They also offer a bridal suite, liability insurance, outside vendors, and wireless Internet. The Fussell family moved to this ranch approximately 15 years ago. When their eldest daughter was looking to get married, they realized they had everything right on the farm. 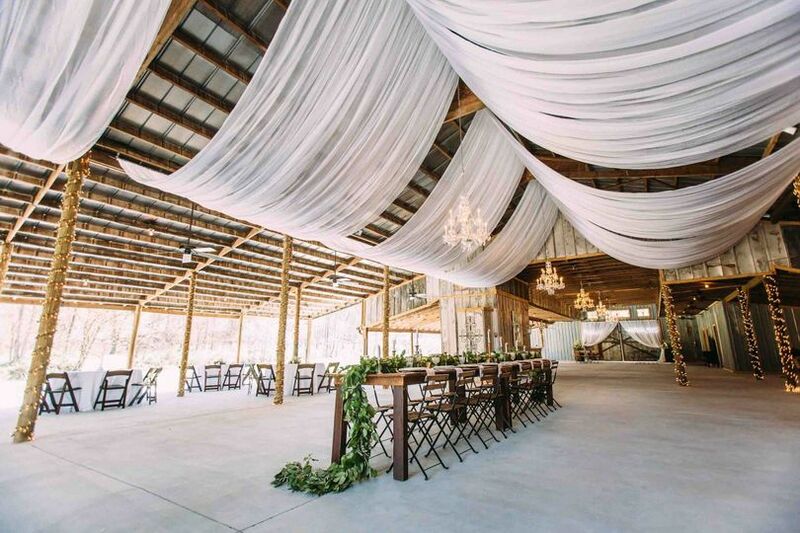 This led to their transforming a cattle barn into a luxurious country reception venue. 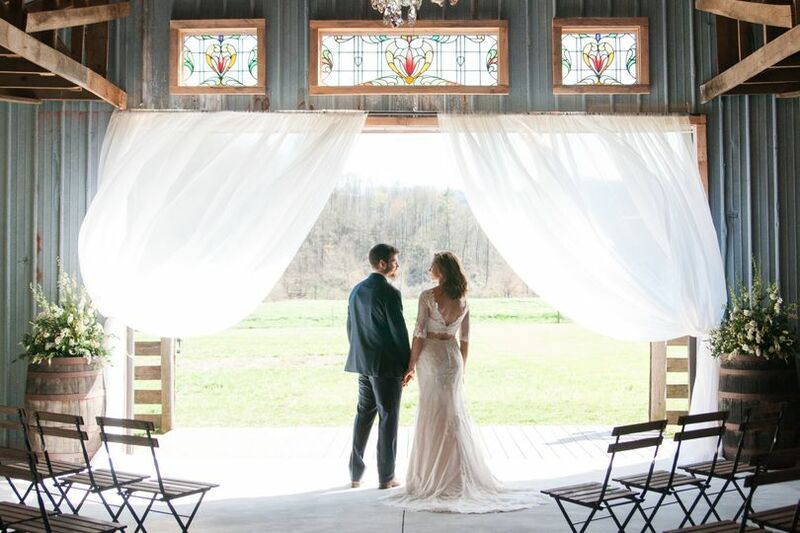 This process took approximately three months and, after their second daughter used the spot for her wedding as well, the family decided to make Fussell Farms the next country chic wedding venue in the area. 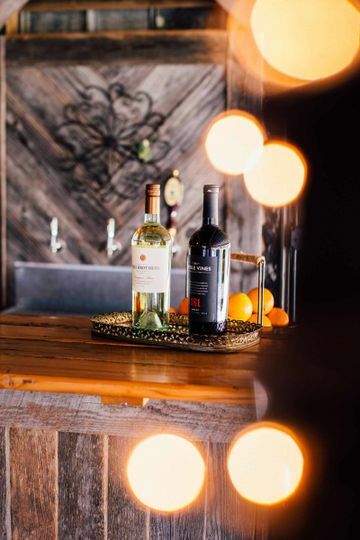 Couples can find this venue right on the Reddies River, two-and-a-half hours from the Raleigh-Durham International Airport.